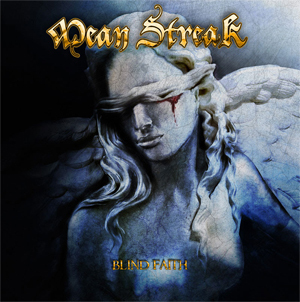 Swedish traditional heavy metal band, MEAN STREAK, have released a music video for "Settle The Score", the track is taken from their fourth album, Blind Faith, wich was released 2017 via ROAR Rock Of Angels Records in Europe and in Japan via Marquee/Avalon. The video was filmed by MEAN STREAK and contains roadmovie material on and off stage from their European tour this spring. The Video can be viewed on KNAC.COM HERE. The video was edited by Exit Stage Left. Video director & editor is Ari Pereira. Blind Faith was produced by Peter Andersson and Max Norman, mixed by Max Norman (OZZY OSBOURNE, ARMORED SAINT, MEGADETH, Y&T) and mastered by Thomas “Plec” Johansson (SOILWORK, ONSLAUGHT, ARMAGEDDON, DEGRADEAD, DYNAZTY).